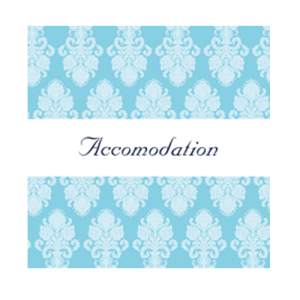 Our Wedding accommodation cards or where to stay information cards are flat cards and can be printed with information on both sides. Our wedding information cards are a great way of letting your guests know about details such as directions or accommodation details and after parties. You can put whatever wedding invitation wording related to your accommodation details on the front and back of our wedding information cards. 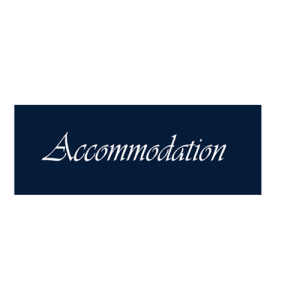 Our accommodation information cards are the same size as our direction cards and fit neatly into our Wedding Invites. All our wedding stationery can be purchased separately or as part of a suite along with our Wedding Invitations. You can add your own design to any of our wedding stationery for an extra fee of thirty euro just add this to our price per quantity for our wedding stationery online. Nothing as annoying as getting a wedding invitation for a wedding down the country and not to mention accommodation details. 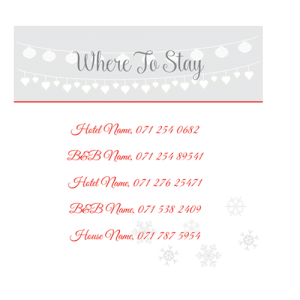 Wedding accommodation cards are a nice addition to provide your out-of-town wedding guests with details of rooms secured by you at a discount. Some couples manage to get a discount for block booking rooms at other hotels nearby which is great if you want to do a 2 to 3 day wedding bash for your wedding guests. Wedding wording for information cards and indeed the wording for wedding invites can be a bit of a job to get right ensuring that all the relevant and important wedding information is in the wedding stationery in a legible easy to read fashion. 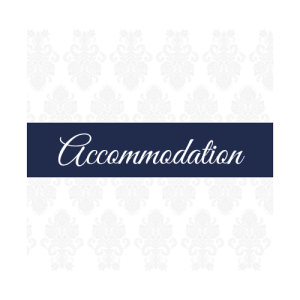 For accommodation cards you want to put the right information in without confusing guests with terms they might not be familiar with such as cut off dates, group codes, room block. The information cards for weddings tend to be small so do not put in unnecessary words for your wedding wording or it will be too cluttered and end up on the window sill in the pile! 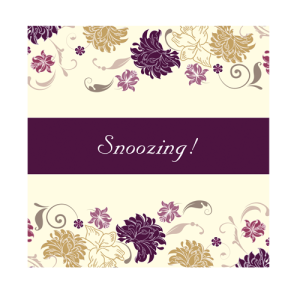 Our wedding stationery can be purchased separately or as part of a suite. Please visit our website and browse through our many designs which vary from floral wedding invites, funny wedding invites, quirky wedding invites, mum & dad are getting married wedding invites, traditional wedding invites, spring wedding invites, winter wedding invites, summer wedding invites, elegant wedding invites, rustic wedding invites. A few of our most popular styles of wedding invitations include mum and dad are getting married wedding invite, my parents are getting married wedding invite or we’re getting married wedding invite can be tweaked for a small fee. Hair colour or background colour can be all changed on all our wedding stationery. So whether you have come upon us through your a friends recommendation or came across us in your search for wedding invites you are sure to find the right card design to match your wedding theme and style and keep within your wedding budget. We are offering discounts on all our wedding stationery regularly so keep an eye out for the latest discount on wedding invites.